Pierre Duhem's father was Pierre-Joseph Duhem, a commercial traveller, and his mother was Alexandrine Fabre. It was a Flemish family. Pierre, the eldest of his parents four children, was born in the Rue des Jeûneurs in Paris after his parents moved there. When he was eleven years old he entered the Collège Stanislas where he proved a brilliant student. Leaving the Collège Stanislas with outstanding achievements in Latin, Greek, science, mathematics and other subjects, he had to choose between studying at the École Polytechnique which, in principle, prepared one to be an engineer, and the École Normale, the more academic of the two. Duhem's father wanted him to study science at the École Polytechnique since he wanted his son to follow a technical career. Duhem's mother, on the other hand, wanted him to study Latin and Greek at the École Normale, principally because she feared that a study of science would turn him away from the Roman Catholic beliefs that she had instilled in her children. Duhem was ranked first in the entrance examinations of both institutions but he chose to please neither of his parents by studying pure scientific at the École Normale. He began his studies on 2 August 1882. In these long and precious conversations during which, from the moment of my entry to the École, our friendship grew, how I felt him being thrilled by the genius of Hermite, or that of Poincaré, whose works he followed better than most of us could (I mean the most specialised in mathematics)! But in a general way, all the great mathematical ideas, all the one which were truly fruitful, were familiar to him. From this time I owe him revelations, insights (how broad, how disdainful of details to the profit of that which was really essential!) which for me, effortlessly and as if unconsciously, replaced long months of study. In 1884, while still at the École Normale, Duhem published his first paper which was on electrochemical cells. Even before receiving his licence in mathematics, Duhem submitted his doctoral thesis in 1884. Suddenly his brilliant career shuddered to a halt. The thesis was on thermodynamic potential in physics and chemistry and in it he defined the criterion for chemical reactions in terms of free energy. In this he was replacing the incorrect criterion which Marcellin Berthelot had put forward twenty years earlier. Quite correctly Duhem criticised Berthelot's theory putting forward a correct alternative. Sadly being right is not always good enough and a scientist as influential as Berthelot was able to arrange for Duhem's thesis to be rejected. Duhem knew he was right and boldly published the rejected thesis in 1886. This certainly did not help his relations with Berthelot, as one might imagine, and the bad news for Duhem was that Berthelot became French Minister of Education in 1886. Duhem meanwhile worked on a second thesis, this time wisely choosing a mathematical topic which was less likely to be affected by the fate of his first thesis. 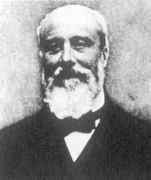 His mathematical work on magnetism was accepted in 1888 but he suffered all his life because of Berthelot. Before his second thesis was submitted Duhem was already teaching at Lille. He worked there from the time he took up the appointment on 13 October 1887 until 1893. In Lille he lectured on hydrodynamics, elasticity, and accoustics, publishing these lectures in 1891. While in Lille he married Adèle Chayet in October 1890. She died two years later during the birth of their second daughter, who also died. This personal tragedy may have made it harder for him to get on with his superiors in Lille, something he always found hard despite having many good personal friendships. In spite of having grown aware of Duhem's scientific triumph over him, Berthelot could not bring himself to acknowledge this to the extent of letting him obtain a chair in Paris. At stake was the renown of the theoretical interpretation which Berthelot gave to his vast and most valuable experimental researches. It was all too human of Berthelot to protect that interpretation from Duhem's devastating criticism which, if delivered from a chair in Paris, would have forced Berthelot into the open. Herein lies the clue to the slighting which affected Duhem for thirty years, from his first doctoral dissertation to his very death, that is his whole academic career. Without a careful look at it a presentation of Duhem's life would not appear that poignant drama which it actually was. For my part, our meeting again at the Faculté des Sciences of Bordeaux gave me the good fortune of supplementing my reading with invaluable and constant exchanges of views. It is to this reading, to these exchanges of views, that I owe the greater part of my later works, almost all of which deal with the calculus of variations, the theory of Hugoniot, hyperbolic partial differential equations, Huygens' principle. Duhem himself returned to almost all these questions in the continuation of his immense work, and most of the theories which he had so happily and so clearly explained, suggested to him sometimes some observations on details, sometimes some additions of fundamental importance. ... was of a contentious and acrimonious disposition, with a talent for making personal enemies over scientific matters. After becoming a corresponding member of the Académie des Sciences on 30 July 1900, in the following year he again requested a move from Bordeaux but again it was refused. Few scientists have contributed in works of leading importance, as Duhem did, to the philosophy of science, the historiography of science, and science itself. One has to see much of his writings, however, strongly influenced by his ultra-Catholic views which prevented him approaching subjects with an open mind. His mother had not wanted him to study science in case science would diminish his religious beliefs. Perhaps in the event the opposite happened and his religious beliefs played too large a part in formulating his scientific beliefs. These comments, however, should not be taken as in any way lessening the importance of the views that Duhem put forward in all three areas of his interests. ... unification of theoretical physics: the thermodynamical potentials, the Lagrangian analytical formalism and Duhem's philosophical conception of theoretical physics. The mathematical aspects of this unification and Duhem's priority in the axiomatization of thermodynamics are emphasized. In many ways Duhem can be seen as very modern in his approach. He would begin by setting up axioms which the physical system that he was studying satisfied. He then studied in depth the consequences of the initial axioms deducing properties of the physical system from mathematical theorems developed from the axioms alone. He was opposed, however, to studying mathematical problems which did not arise from physical situations. His contributions to thermodynamics are of major importance and he also studied magnetism following the work of Gibbs and Helmholtz. Some of his most important papers on these topics are Étude sur les travaux thermodynamiques de J Willard Gibbs Ⓣ (1887) and Commentaire aux principes de la theormodynamique Ⓣ (1892). Three major treatises are Thermodynamique et chimie Ⓣ (1902), the two volume work Recherches sur l'hydrodynamique Ⓣ (1903-4), and Recherches sur l'élasticité Ⓣ (1906). A physical theory ... is a system of mathematical propositions, deduced from a small number of principles, which has the object of representing a set of experimental laws as simply, as completely, and as exactly as possible. As one might imagine, Duhem disagreed with Poincaré on many aspects of the philosophy of science and the two engaged in a vigorous debate. One of his most important works on philosophy of science was La Théorie physique, son objet et sa structure Ⓣ (1906). If scientific work itself led Duhem towards the philosophy of science, then in turn the philosophy of science led him towards the history of science. His paper L'évolution de la mécanique Ⓣ in 1902 is really an article on the philosophy of science but it is based heavily on using historical examples. Earlier important work on the history of science was Les théories de la chaleur Ⓣ published in 1895. His most important work on the history of science was, however, research which showed that the period from 1200 onwards was not a period when science had been ignored. Of course he was very keen to show that this was the case since the Catholic Church had been blamed by many for preventing scientific work during this period. While working on Les origines de la statique Ⓣ in the late autumn of 1903, Duhem came across the scientist Jordanus Nemorarius who worked before Leonardo da Vinci. Until that time Duhem had accepted the commonly held view that there had been no scientific work in the Middle Ages. It was this surprise which led Duhem to look for other scientists who worked before the development of Renaissance mechanics. His most famous works in this area include Études sur Léonard de Vinci Ⓣ (1906-13). In 1913 he began publication of Le Système du monde, Histoire des doctrines cosmologiques, de Platon à Copernic Ⓣ (1913-17) but only 5 of the intended 10 volumes were written before his death. Late in his career Duhem was offered a professorship in Paris as a historian of science and not as a mathematical physicist. Duhem refused the chance to work in Paris that he had always longed for saying that he was a mathematical physicist and did not want to get to Paris through the back door. He died while on a walking holiday in Cabrespine. Some reports say it was a heart attack, others that he died of a chest infection.